Pictured at the event were, scholarship recipients, Niamh Briggs, Ireland Women's Rugby Captain, Dungarven Co. Waterford and Darragh McGrath, Dungarven Co. Waterford. 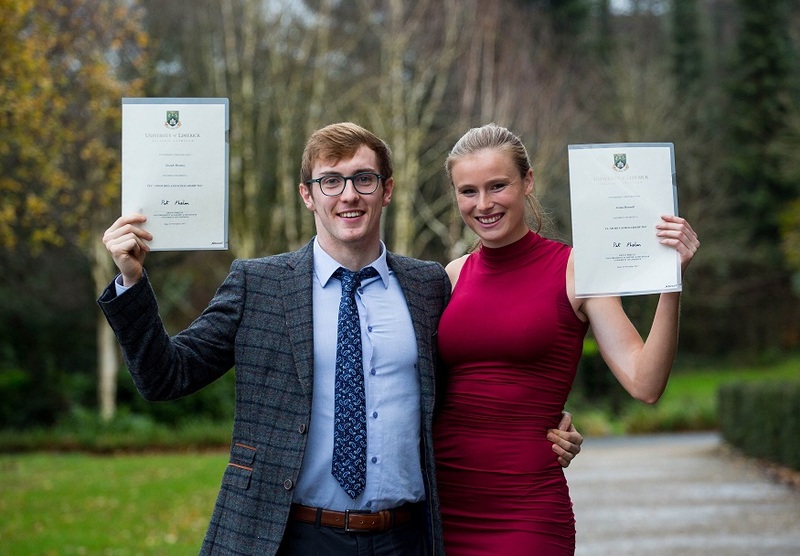 Students from across the country were presented with scholarships totalling nearly €280,000 at the 2017 University of Limerick Scholarship Awards ceremony held on Monday, November 27. This year, more than 110 scholarships were presented, including over 30 UL Sports Scholarships. 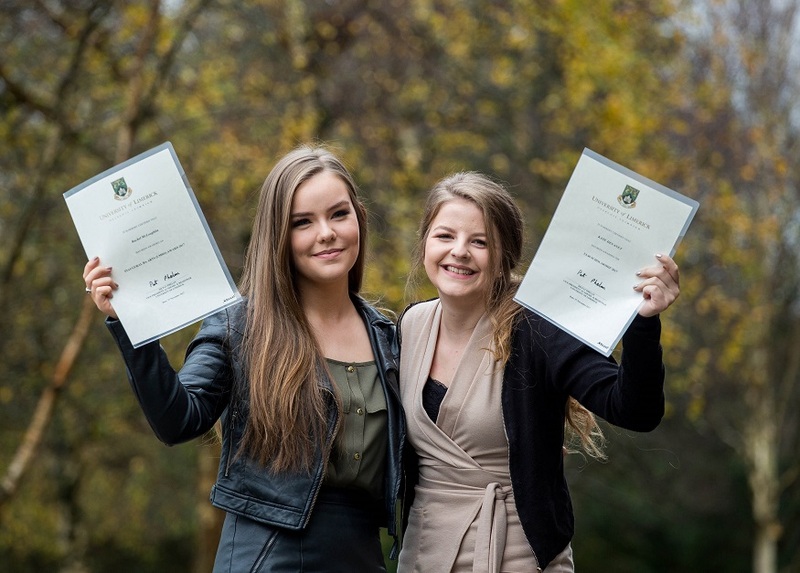 Forty students were awarded UL40 Scholarships, introduced in 2012 to mark UL’s 40th anniversary and valued at €2,000 each. A further 10 students received the UL40 Mature Scholarships. Bachelor of Engineering student Cian Hogan, from Sixmilebridge, Co. Clare, was awarded the Microsemi Scholarship, established in the academic year 2012/13 by Ennis-based semiconductor developer, Microsemi Ireland. This scholarship is open to all secondary schools in County Clare and is awarded to the student who attains the highest Leaving Certificate points before enrolling in Bachelor of Engineering programmes in UL. Stryker Orthopaedics has a long association with UL, and has been awarding an entrance scholarship to a first-year student each year since 1975. Students registered for Bachelor’s Degree programmes at UL are considered for the Stryker Scholarship, provided they have not been awarded other scholarships or bursaries. This year, Emily McCarthy, a student on the Bachelor of Science in Physics degree programme from Abbeyfeale, Co. Limerick, was presented with the award, valued at €10,160. Four Women in Engineering bursaries, each of €500, were presented to female first-year students enrolled in Bachelor of Engineering programmes. The Edith and Leslie Downer Scholarship, with a value of €1,000 and endowed by President Emeritus Roger Downer in memory of his mother and father, was presented to Bachelor of Science Nursing (General) student Nina Proskurnya of Clareview, Limerick. Three students were awarded the inaugural BA Arts (LM002) Scholarships worth €1,000 each. These students achieved the highest CAO points this year before embarking upon the BA Arts programme. The Jean Monnet European Studies Entrance Bursary is another new scholarship award, kindly donated by Professor Edward Moxon-Browne. It was presented to student Tara Collins from Mallow, Co. Cork, who achieved the highest CAO points in her programme, Bachelor of Arts in European Studies. Twelve third-year students were awarded with Arup Integrated Design Awards, sponsored by the engineering firm, Arup and presented for the first time this year. These students are studying in the Civil Engineering Programme at UL, and undertook “Integrated Design” projects. 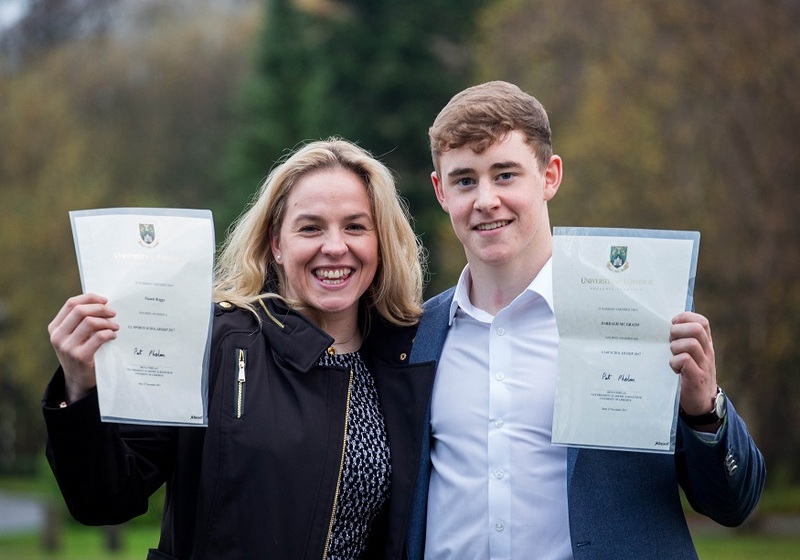 Bachelor of Engineering in Design and Manufacturing student Conor Carmody of Rhebogue, Limerick was presented with the Paddy Dooley Rowing Scholarship. Valued at €2,500, the scholarship has been established through the generosity of the Dooley family in memory of their father, who captained the Irish Olympic eight, in the 1948 Olympic Games in London. Award winners in the annual BT Young Scientist & Technology Exhibition were also presented with scholarships at Monday’s ceremony. This year’s recipients were Bachelor of Engineering student Eoin McCarthy from Waterfall, Cork, and Bachelor of Engineering in Aeronautical Engineering student Colin McNelis of Ennis, Co. Clare. Finally, the Elaine Fagan scholarship was awarded to BA in Journalism and New Media student Ronan Coughlan from Newport, Tipperary. The scholarship is sponsored by the Fagan family in memory of their daughter Elaine who died at the age of 25 but whose life inspired and touched those who knew and loved her. The scholarship is open to first-year undergraduate students from the Mid-West region who enter college through the DARE (Disability Access Route to Education) process. Congratulating the 2017 UL Scholars, Vice President Academic and Registrar, Dr Pat Phelan, who presented the scholarships, said: “Through this scholarship programme, UL is delighted to recognise these 110 outstanding students. UL is proud to acknowledge and support each of them as they continue to excel in sport and academia”.